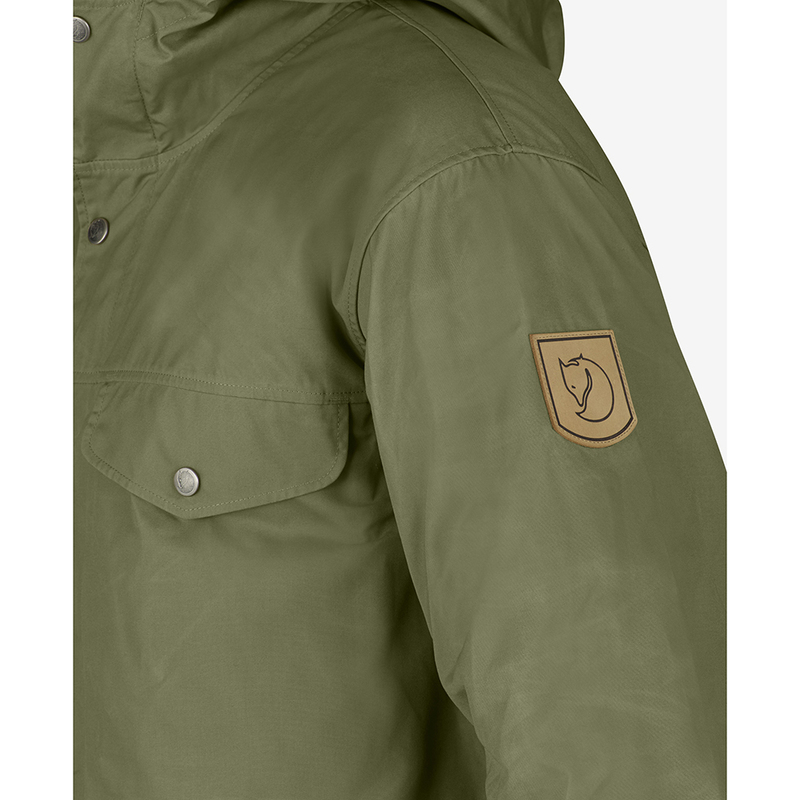 Fjällräven Greenland Jacket | Dark Olive/Mountain Grey. 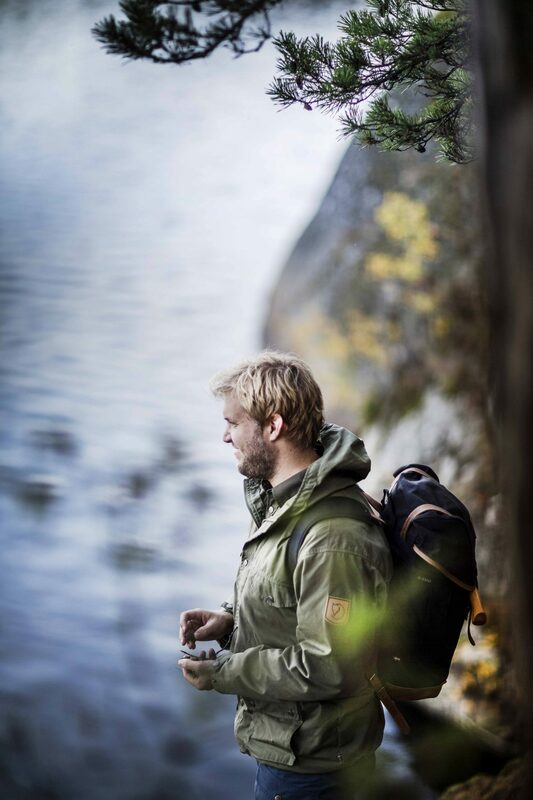 Classic outdoor jacket that will withstand wind and wear for many years. 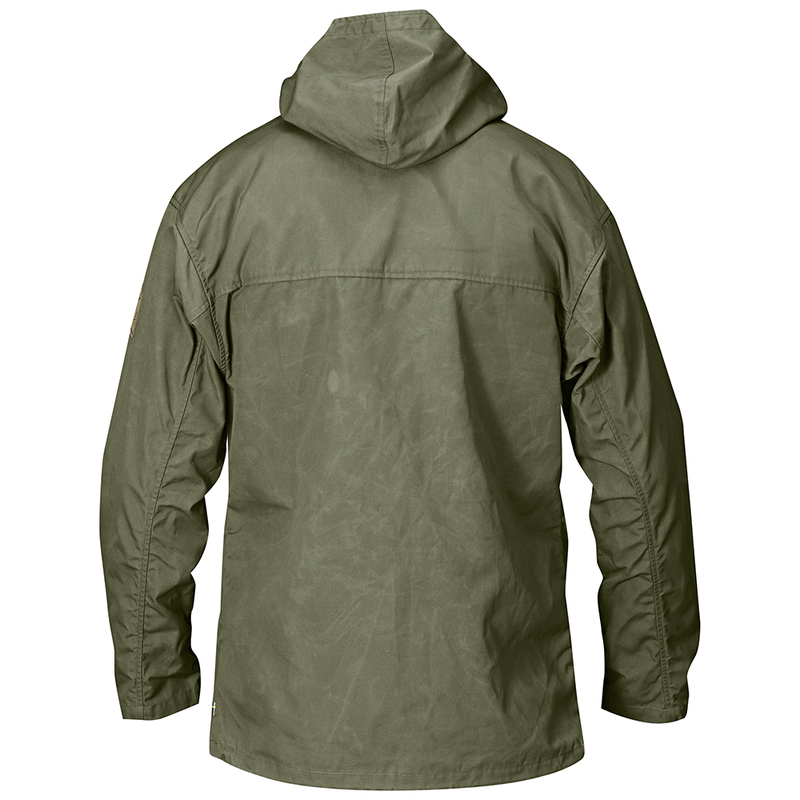 Six pockets and a fixed, snugly fitting hood. 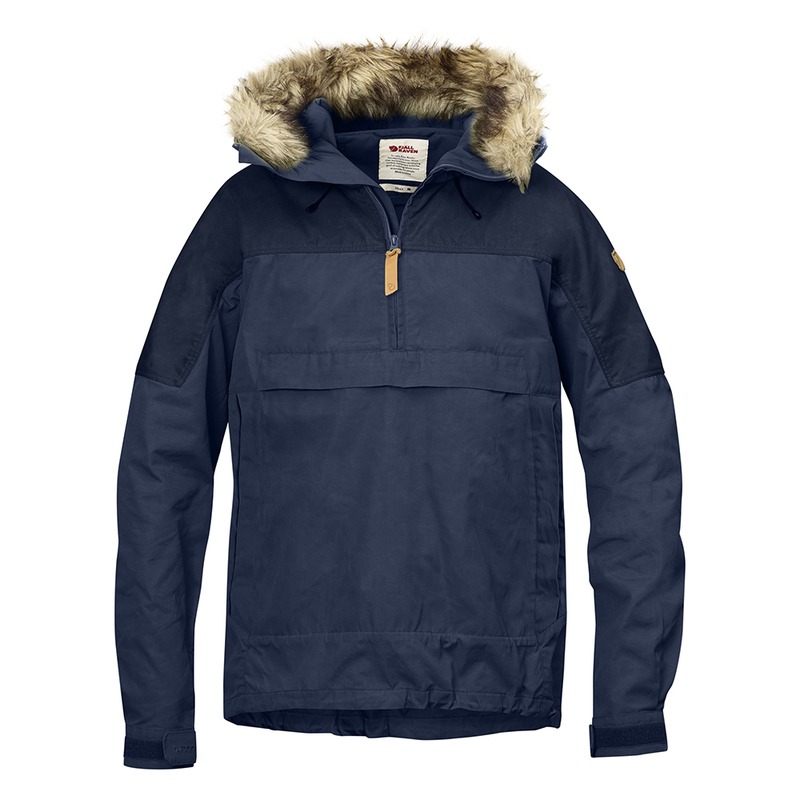 An outdoor classic from 1968 that was developed by Åke Nordin in collaboration with members of the Greenland expedition of 1966. The original was made from tent material that was too heavy for lightweight tents. 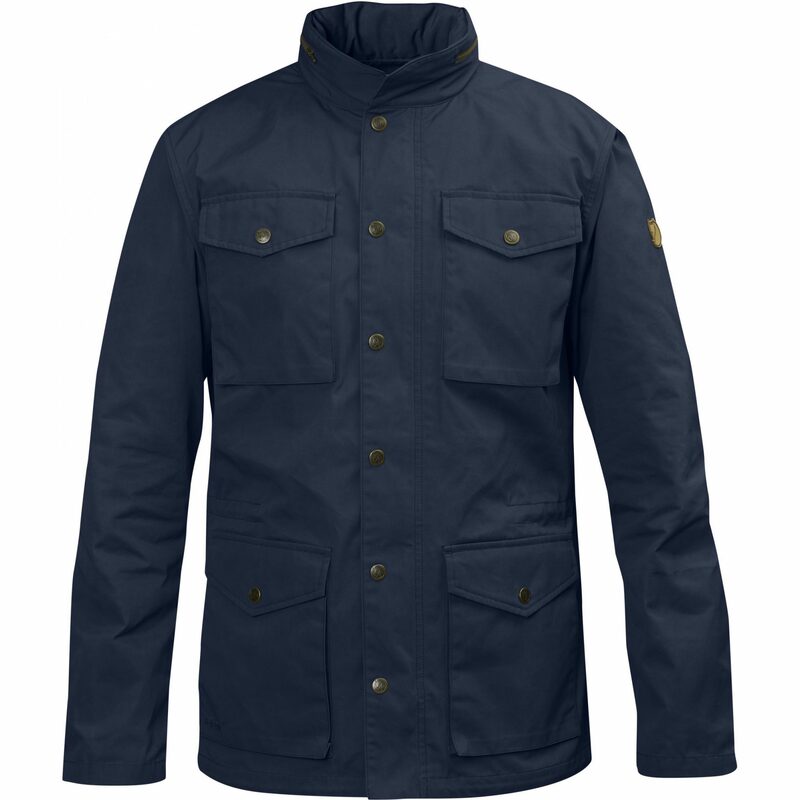 The result was an extremely durable and much appreciated jacket for climbers. It did not take long for it to gain popularity for general use in forests and fields where it was shown to have rare durability. Today, many of the earlier versions have been passed down to younger generations. 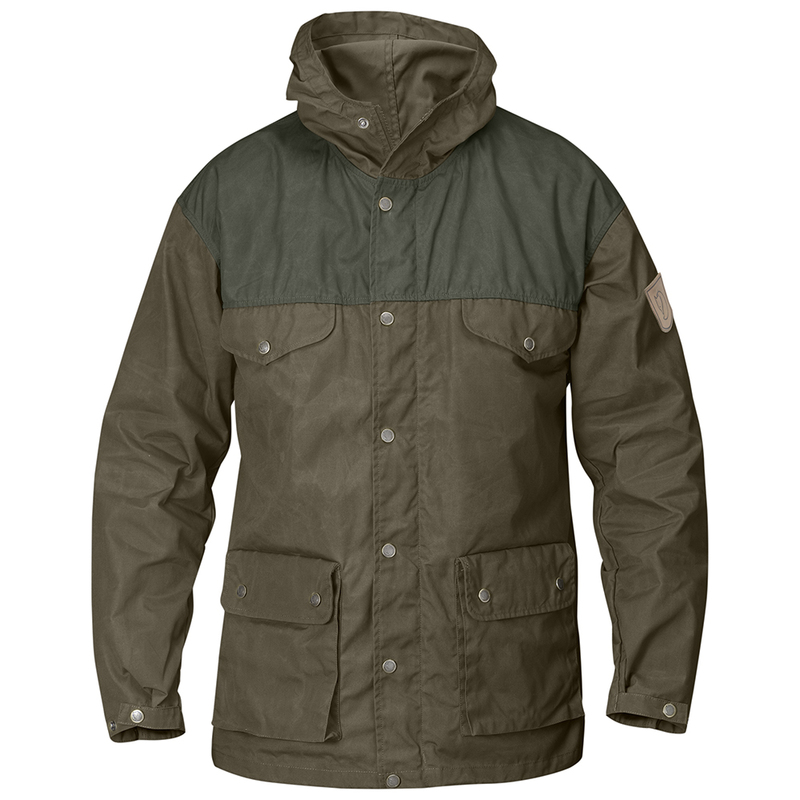 The jacket is made from wind and water resistant G-1000 Original with double layers of fabric over the shoulders and yoke. 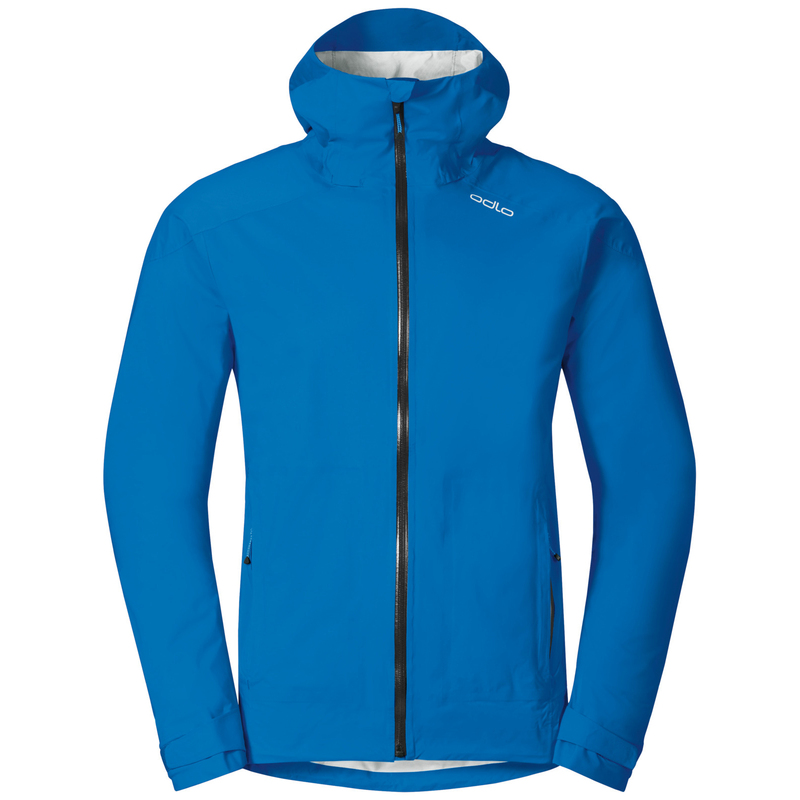 The hardwearing fabric also effectively ventilates out moisture when you are active. 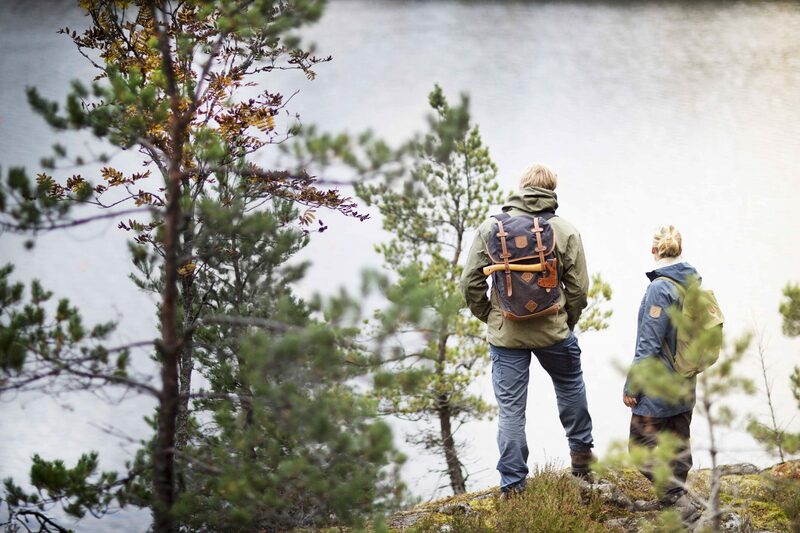 For extra protection against wind and water, the jacket can be impregnated with Greenland Wax, which will also increase its lifespan. 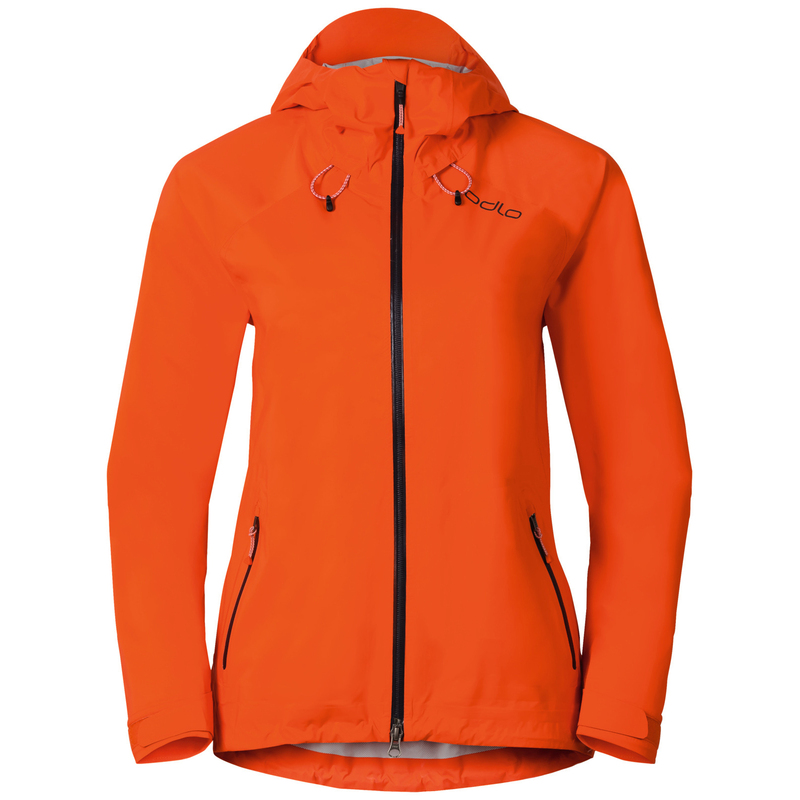 It has a fixed, snugly fitting hood and a two-way zipper with press buttons at the front. 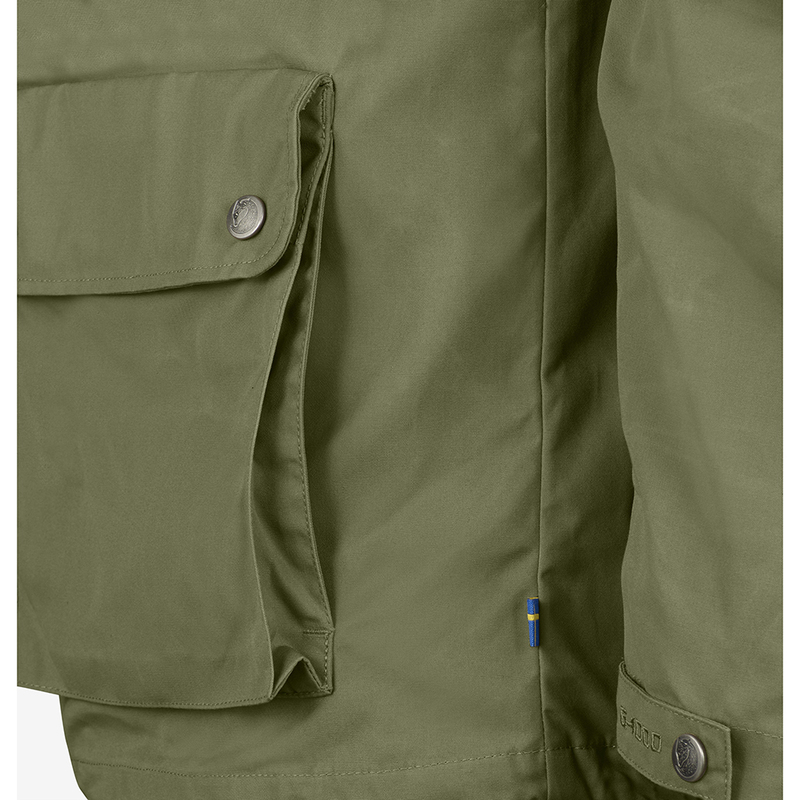 It has two chest pockets with flaps and two spacious top-loaded pockets lower down with extra hand pockets behind that are accessible from the side. The sleeve cuffs can be adjusted with press buttons.